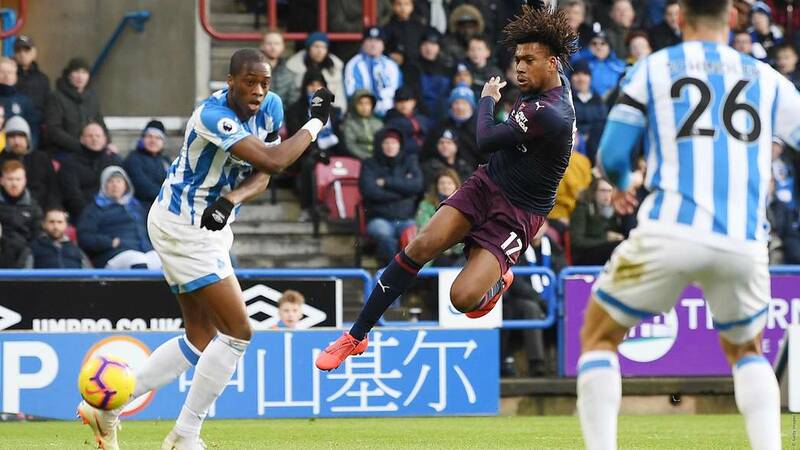 Arsenal were in Premier League action on Saturday afternoon with a 3pm kick-off away at Huddersfield Town. In a game that Unai Emery’s team knew would be tough, it was going to be important to get off to a fast start. The hosts began well, but it didn’t take too long for Arsenal to get into their stride. Alex Lacazette and Alex Iwobi both had opportunities to open the scoring early on. The Nigeria international got another chance on the 15 minute mark, thanks to good work down the left from Sead Kolasinac. Iwobi managed to get on the end of the cross at the back post and his shot was deflected past the goalkeeper to put Arsenal ahead. He thought he’d bagged a second with a great finish on the 35th minute but was flagged offside by the assistant referee. Huddersfield were getting plenty of crosses into the box and the Gunners defenders had to work hard to weather the storm, while looking to counter whenever possible. On one such break, Henrikh Mkhitaryan linked with Ainsley Maitland-Niles and the youngster slid the ball across for Lacazette to tap in for Arsenal’s second of the afternoon. The second half saw Arsenal have to knuckle down and grind out the win. The home side were desperate to get back in the game and Bernd Leno was forced into making a fine save from Diakhaby, Nacho Monreal also had to make a goal-line clearance. Huddersfield did finally get a goal in injury time but the match ended 1-2, a valuable away win for Unai Emery’s side. The squad now turn their attention to the return of the Europa League with this Thursday’s away match against BATE Borisov.